Going to a casino is an exciting and exhilarating event for anyone. The sound of the machines, the scent of money in the air, and the energy that radiates from hundreds of high-rollers betting, rolling, and spinning their way to success- mostly. But what to wear? Obviously if you are playing at home at an online casino, all you need to do is not worry about what you wear, and then check out these popular online casino reviews here to find your game of choice. But for everyone else that is visiting a casino in real life, getting your outfit right is very important as you are expected to look a certain way. So, to find out the do’s and don’ts of dressing for the casino, let us read on to find out more! This is the most formal type of occasion dress and is the fanciest and poshest in all areas of Western fashion. It dates back to the 1700s and back then it included breeches, blouses, and flouncy topcoats- something that may be a little OTT by today’s standards. Over the years, the style has changed but the smartness has remained intact. Whilst very few casinos require this type of dress, if you are attending an event at one, or visiting a particularly fancy one, this should be considered. 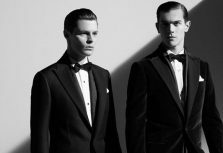 Men are expected to wear a black dress coat with tails with matching trousers, a white shirt with wing collars and a stiffened front, cufflinks, a white bow tie, grey or white gloves and smart leather shoes with black socks. Whilst this is another style of formal attire, it is not quite as posh as white tie. It became popular in the late 1880s when the dinner jacket, or tuxedo was invented. 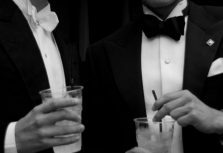 Traditionally, the tuxedo is only worn to events that start after 6pm and for men the following is required: a white dress shirt, a black bow tie, a waistcoat or cummerbund, a dinner jacket, and Oxford-style or patent shoes. 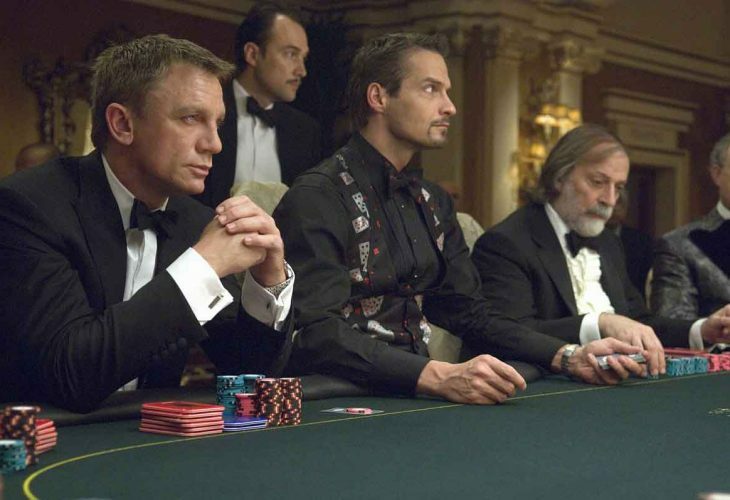 This type of attire is required in prominent casinos in Europe such as ones in Monte Carlo. 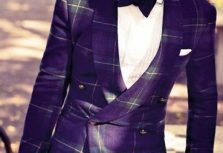 Similar to the level of dressing one would expect at a wedding, the black tie optional dress code is a rather new way of dressing. Whilst a casino will not outright advertise themselves as black tie optional this would be considered the standard level of smartness that one should attain to. 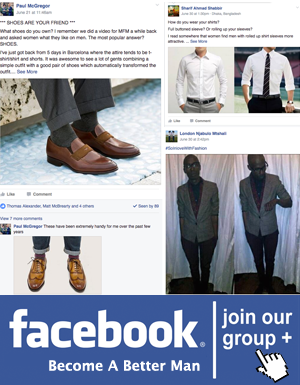 It consists of a dark suit, a white shirt, a smart tie and dark leather shoes and socks. This type of outfit will make you look like you mean business, whilst satisfying the expectations of a casino on its patrons. 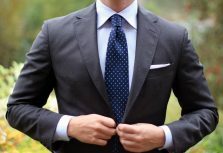 Dressing down the suit is typically the best alternative for your local casino, but black and white tie are optional if you’re looking to make an impression.